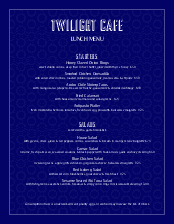 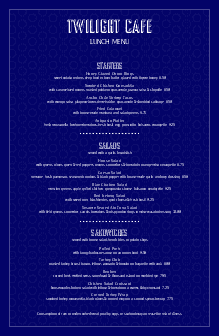 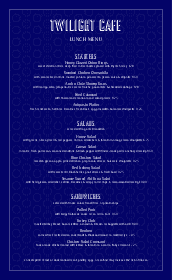 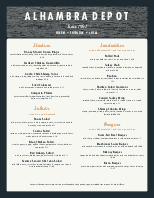 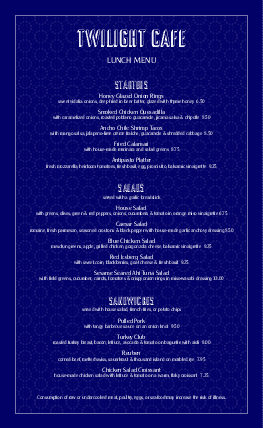 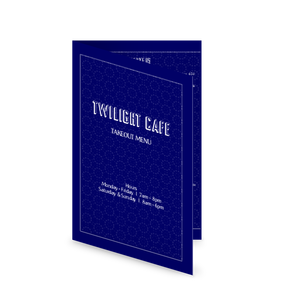 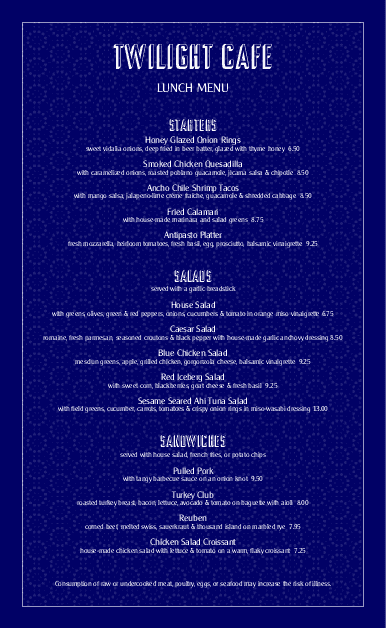 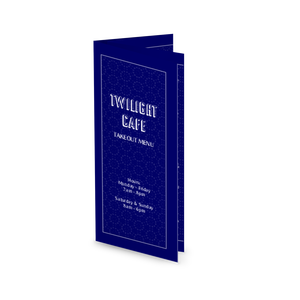 This Cafe Bar Menu displays a beautiful navy background with a subtle geometric, polka dot overlay. 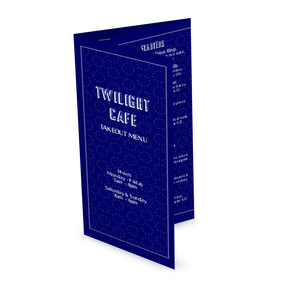 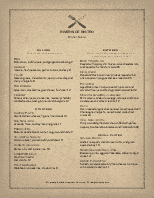 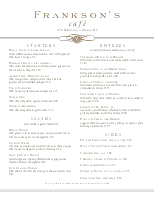 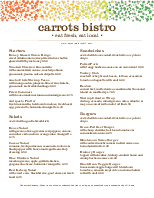 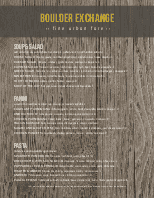 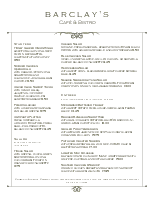 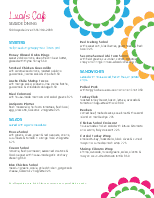 Use this template to list dishes and drinks for your cafe. 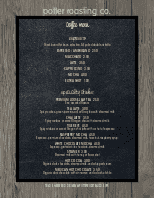 Editing this menu in the Menu Maker allows options for full customization.